HomeWhere was Grant’s Headquarters during his stay in Culpeper? 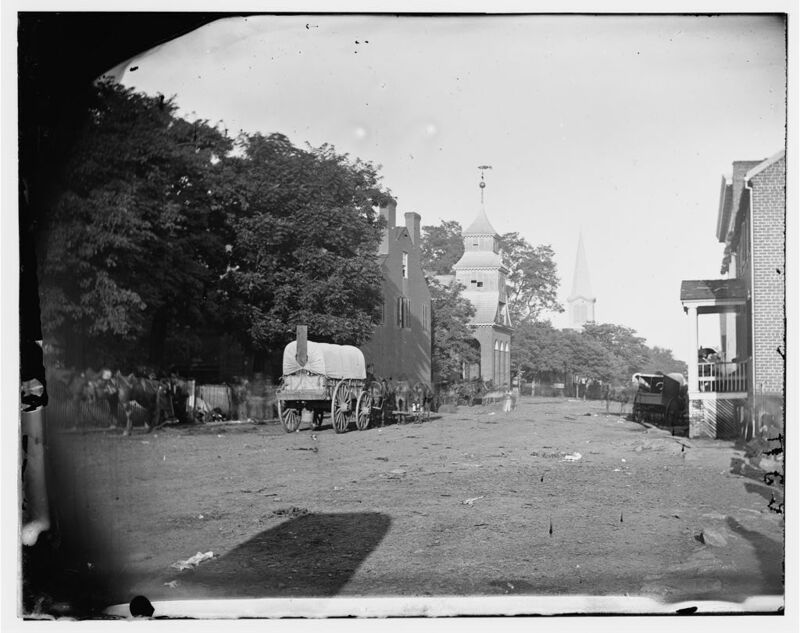 Where was Grant’s Headquarters during his stay in Culpeper? 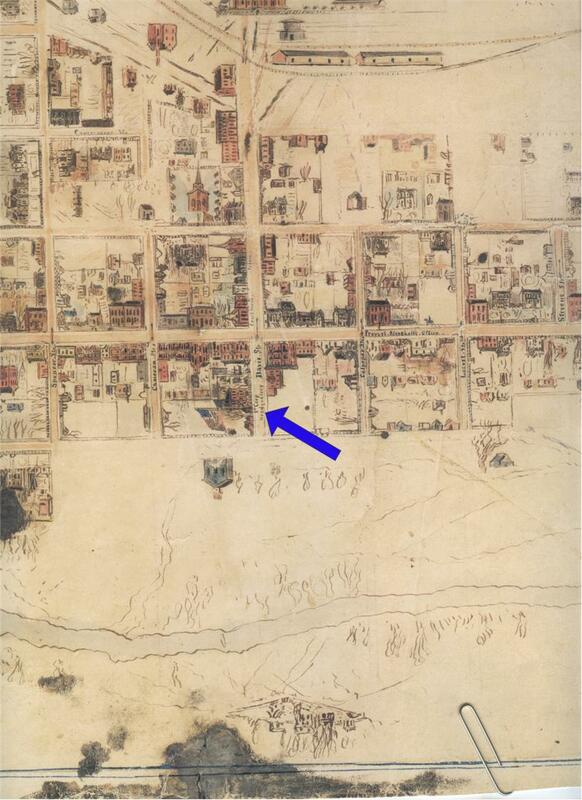 his headquarters was the most important building on the North American continent… for at least a moment in time. From that house in Culpeper Court House, Grant controlled a massive army, spread from the Atlantic to the Pacific, stepping forward onto a series of major and minor campaigns. Every order to that army emanated from that dwelling in Culpeper. 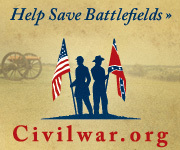 And those orders would eventually lay the path to events of April 1865. With that said, and the significance established, let us ask where was the building which Grant used as a headquarters? 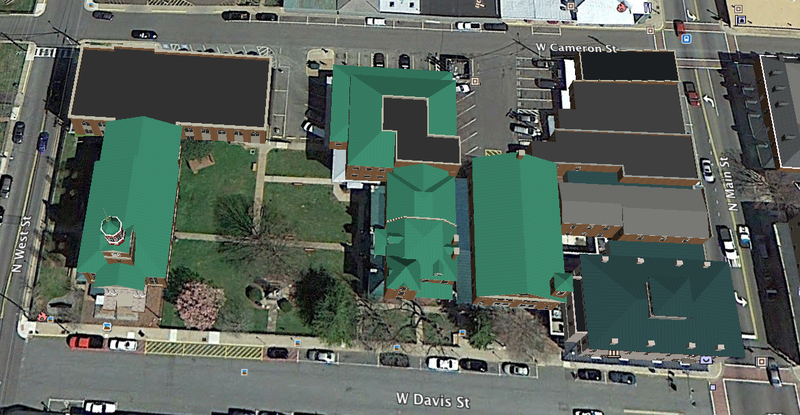 There is public interpretation that I know of in Culpeper today marking this important site. 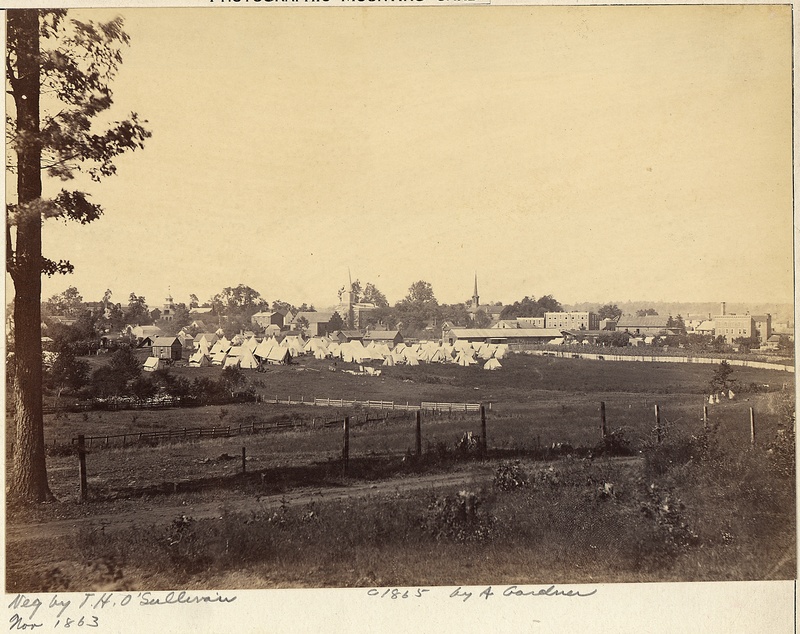 Over the years, historians have offered several candidates, to include most recently “small, cigar smoke-filled tent in Culpeper, Va.” Others have mentioned the home of William Wallach (and incorrectly identified the owner as William Williams), known as “Montrose.” But the most persistent identification is the Rixey home, on Main Street, as that site. The house was once owned by Confederate General William “Extra Billy” Smith. Thus adding a somewhat interesting twist. Even my friend, Clark “Bud” Hall identified the Rixey Home in his excellent Blue & Gray magazine article (Issue 46, Volume VIII, which is very hard to come by now days!). But, over the years, Bud has determined that identification is in error. 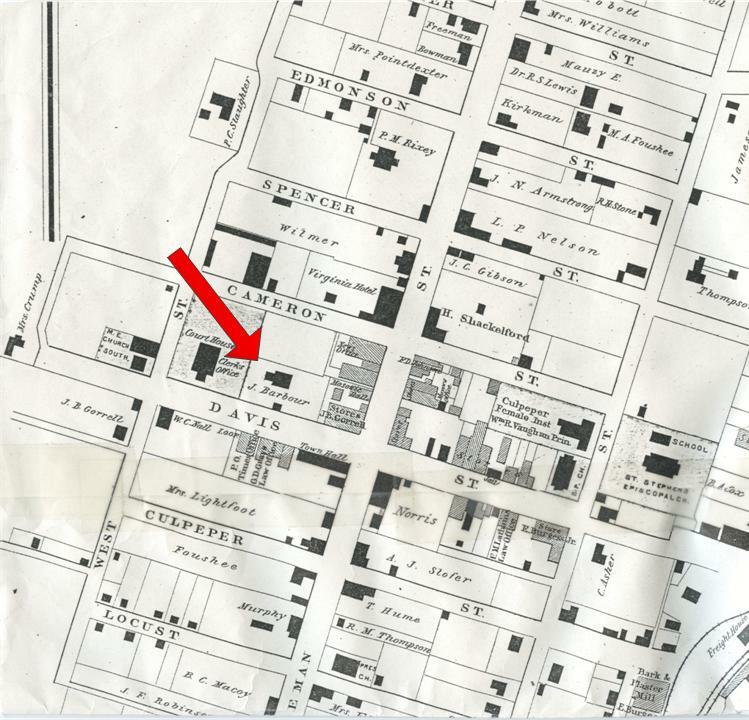 Grant’s headquarters was in fact at the John Barbour house, on Davis Street, just a short walk from the railroad station. Bud has graciously allowed me to share the fruits of his research here. You will find attached to this post Bud’s narrative justifying the identification of the headquarters site: Grant’s Culpeper Headquarters. 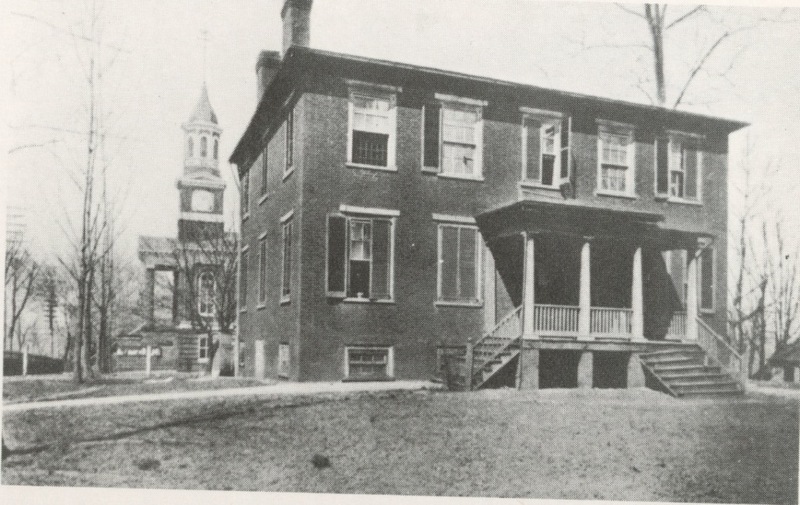 … as you look at the courthouse –far left steeple, northeast corner of Main and Davis–the Barbour house is in the trees to the left (west) of the courthouse. You can just make out the roof of the house. The steeple in the center (no longer there) is the Baptist Church at Davis and East Streets. St Stephen’s Church is the steeple to the right. The Waverley Hotel is the building to the far right, just east of the tracks, and across from the depot. Two things I’d ask of you readers. First, consider what was going on at the Barbour house at this time 150 years ago. Secondly, I am certain a Civil War Trails or other form of public interpretation can be secured for a relatively meager fee. And I think you would agree, that’s a spot which needs to be marked!